The ocean is an ancient place, the source of life itself on this planet. Skipping through the whole of Earth's history, the interaction between humans and the ocean is relatively recent. Yet, in that brief time, the ocean has changed dramatically. In fact, the oceans are now changing so quickly that from one human generation to the next, any given spot in the ocean can look like an entirely different place. Here in the Phoenix Islands, the reefs (in theory) should be changing less, or more slowly, than elsewhere in the world, given their distance from human settlements. Yet, the global reach of human impact is visible even here. In 2002-03, there was a catastrophic bleaching event here caused by high temperatures. On this trip, we're documenting some of the recovery (or lack thereof) in different places on the reef, on different islands. Yesterday, we saw some rubble reefs with very little coral, and I was struggling to maintain optimism about the fate of the worlds oceans. Today, we saw stunning reefs--covered in live coral, teeming with fish, swimming with turtles and manta rays and sharks. What a difference! Although I'm on this trip in a professional context, I was unable to suppress my wonder and amazement and joy at seeing such beautiful reefs. I wish I could just stop here and let that be the end of the story, but when I came back to my senses, the scientist in me asked David the obvious question: "So, how do these reefs compare to their former, pre-bleached selves?" I was shocked at the answer. Qualitatively, David thought that they were only halfway restored to their former glory. Halfway?! 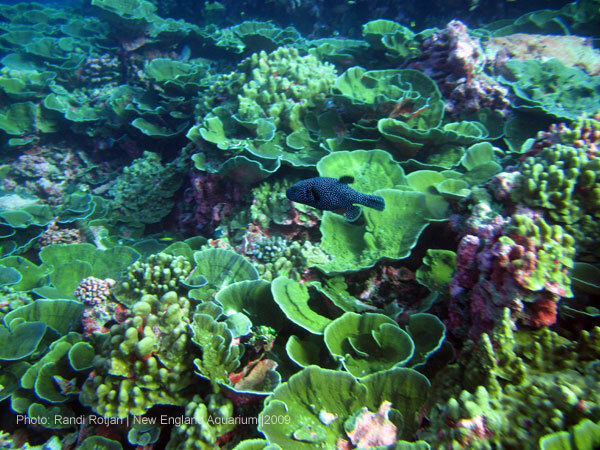 How is it possible that such a beautiful reef could be TWICE as beautiful? I was stunned--and I realized that I had almost been a victim of shifting baselines. The concept of shifting baselines is simple. As each new generation experiences the ocean, we imprint our view of what is healthy based on what we've seen with our own eyes. 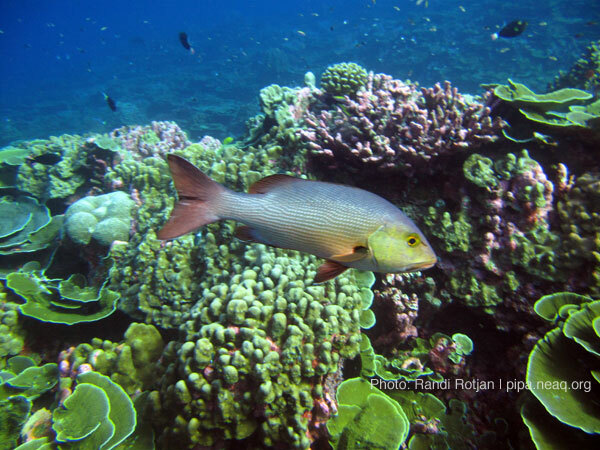 Thus, when we think about ocean conservation, we aim to maintain or restore the oceans to that baseline state. But, what if our baseline is skewed? What if "healthy" to us isn't "healthy" overall because we haven't seen it with our own eyes? How do we recalibrate our baseline to the true baseline, and what is the true baseline? Herein lies the problem, and you can read more about it at www.shiftingbaselines.org. Without David to help me re-calibrate my idea of a healthy Phoenix Island reef, I might have been fooled into thinking that these reefs are fully recovered from the bleaching event, and currently stand at the peak of their glory. But because of the careful observations of scientists who have been here before (David and others), my view of this reef is more tempered. Based on the limited observations we've had so far, I'll cautiously state that these reefs are on their way to recovery, which is very encouraging. But, recovery is not yet complete. Will they one day be restored to their former glory? I hope so! But, only time and data will tell. In the meantime, I'm off to go collect some of those data. At 4-5 dives per day, we're gathering data at breakneck speed, and I'll keep you posted on our preliminary findings. Until then, I'll leave you with this thought. Picture the most beautiful natural place you have ever been. Now, imagine it twice as beautiful. Amazing, isn't it?